Home » PRODUCT GUIDES » What kind of oscilloscope do I need? While a multimeter is probably the best device for measuring DC signals and some AC signals, sometimes you need a more in-depth look at those electrical signals. An Oscilloscope gives you that same electrical measurement but with one additional factor – time. It helps to show you the changes in the signal over time and gives you a more holistic overview of it. Knowing which scope to get can be really a hard task, so this short guide should give you a good idea. When you’re thinking about buying one, you want to understand the different functionality that each of the devices have. The first thing you have to decide is if you want an analog or digital oscilloscope. Most people who are familiar with oscilloscopes have used and know about analog oscilloscopes. The analog oscilloscopes though are a product of the past and shouldn’t be given much focus. If you want a cheap option, you can purchase a second-hand analog oscilloscope online from eBay or local resellers, but we suggest 100% to go with a digital oscilloscope as they have so much more flexibility and capabilities. What is the maximum signal you need to measure? How many signals do you want to measure simultaneously? What is the min/max amps you’ll need to measure? Where will you use the scope at? Offsite? Automotive? Lab? When selecting your oscilloscope, you should look for some of the below criteria when making your decision. Each of these are different measurements/restrictions on a scope that can either mean you can or cannot do the measurement. If you are unfamiliar with these terms, you may need to learn a bit more about what an oscilloscope is used for prior to making the big purchase. Once you know and understand the information above, it will help you in deciding which oscilloscope to purchase. Below are our suggested models in different price ranges. All are good in quality, but depending on your needs you’ll need to decide which is perfect for you. I’ve ordered these starting with our budget starter oscilloscope on down to the more advanced professional scopes. The DS0203 is one of our favorite budget oscilloscopes that’s perfect for fast and easy offsite readings. We suggest this one for both hobbyists and “on the go” professionals who need a cheap unit that can be taken to the work-site. It has a 2MB internal storage, 8MHz bandwidth, and has 2 digital and 2 analog channels. This Singlet oscilloscope is one that we find packs quite a bit of great functionality into an affordably priced device. This model has a 7inch LCD display with 2 channels which is great for most of the basic measurements. The device has a USB export capability to flash drives or directly to your computer and is built with some strong materials to make it last. This is one of the best compact oscilloscopes with good functionality but yet not at such a high price as some of the other scopes. It’s only 5lbs, has a handle for easy carrying to off-site work, and is built with a sturdy scratch-resistant plastic covering. You can measure on 2 different channels with a bandwidth of 70MHz. We suggest this unit for those really serious hobbyists and home DIY enthusiasts. The SDS1202X-E has the ability record a very large amount of data on the device making it really great for projects that you need to take either long measurements, or you have to take a lot of measurements and don’t want to be disturbed with unloading it onto your computer until you’re all done. It can store up to 80,000 frames of waveform and is capable of a capture rate of almost 100,00 wfms which is really great. We also loved that all of the functionality on this scope is automatically unlocked and available without paying extra. By far one of our favorite oscilloscopes on the market currently! 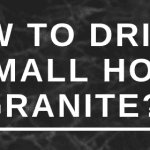 This is definitely one for professionals or serious home DIY hobbyists. It has a 7-inch LED screen along with 4-channel measurements which is plenty for most measurements. If you need a powerful oscilloscope that can handle up to 30 wmfs with a memory expandable up to 24 mpts, this is a perfect choice. It comes in a sleek heavy-duty outer covering that is scratch resistant and helps to protect from drops. There are many different types of oscilloscopes, but PC based ones are quite common and seem like they are a great idea. If you’re in your shop or lab and you don’t do mobile jobs (out of the shop/lab) then these can be a great option. They are usually much cheaper because most of the calculations are done on your computer and displayed on your screen. There are a few concerns about this though. Most of the PC based oscilloscopes don’t have as good of an overload protection which can get scary when it’s connected to your PC. Also, you need to have it close enough to the computer which limits your range of use unless you’re using a laptop. I didn’t include any PC based ones, but I did want to mention it so you’re familiar with these types as you go searching for your own oscilloscope. Hope one of the ones we suggested above suits your needs and you’ll be able to start doing many of the electrical DIY tasks on your own now! 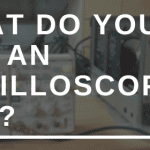 What do you use an oscilloscope for?